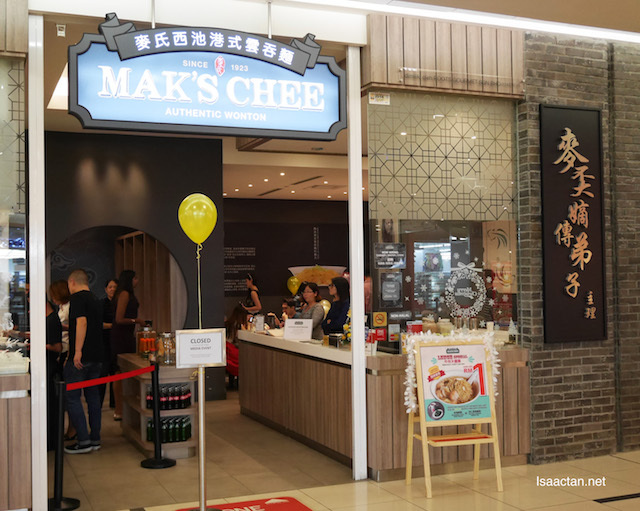 My first time over at Mak's Chee, 1 Utama and it was to sample some of their new offerings. 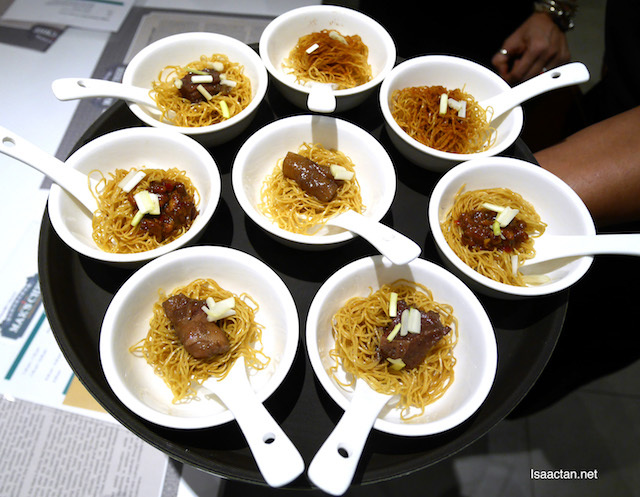 The restaurant was launched in January 2016, and since then they have served numerous patrons with comfort food from Hong Kong, mainly with their Authentic Wonton noodles. Fresh prawn wontons, they serve really good stuff. Anyway read on below on their two newly introduced items on their menu, the Champion Milk Tea & Cheesy Wonton. What makes Mak's Chee Wonton different from the rest is the fact they serve some really good wonton noodles from Hong Kong, which is springy and really tasty. Their specialty fresh prawn wonton is a must try. Anyway back to their new dishes below. When these were brought out, I finally figured out why some called the Champion Milk Tea as Muscular Milk Tea instead. The limited edition bottles were really 'muscular', in the form of a well-built body of man. The making of Champion Milk Tea combines the techniques of KamCha (the only international brewing competition on Hong Kong Styled Milk Tea) winners, made with 100% Sri Lankan Ceylon Tea. Brewed by top quality highland Ceylon tea leaves, we have the broken Orange Pekoe (BOP), Broken Orange Pekoe Fannings (BOPF) and DUST inside. What came out is a well-balanced tea colour that is both aromatic and smooth. I actually liked the taste, which wasn't too strong, yet it has that slight bitterness important in any authentic milk tea. 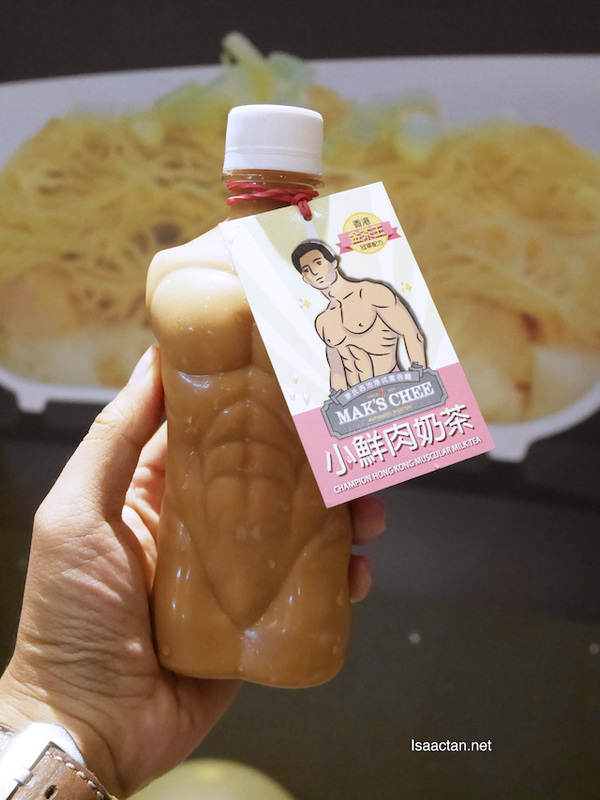 Mak's Chee will be running these limited edition Muscular figured bottle from 5th Dec until 28th Feb next year, so be sure to grab one of these soon. 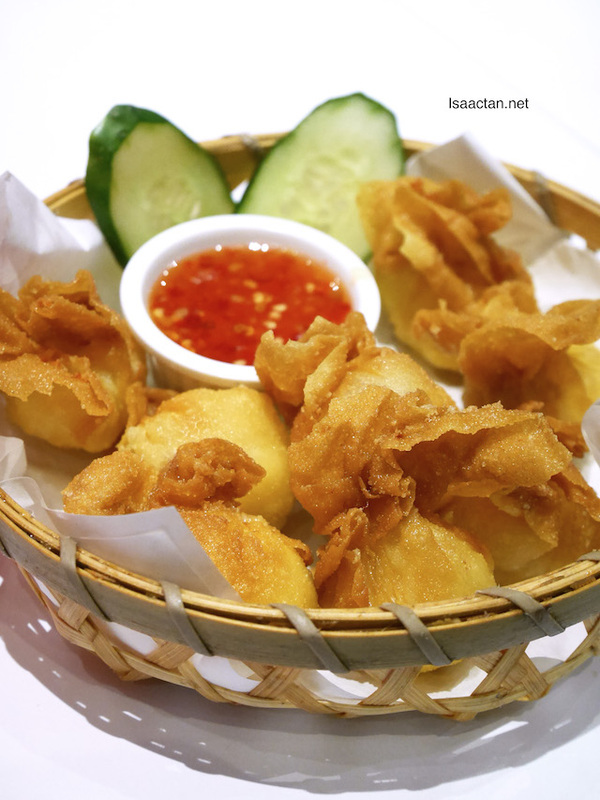 Mak's Chee took one of their all time best seller, the deep-fried Sea Prawn Wonton and made it a whole lot better! 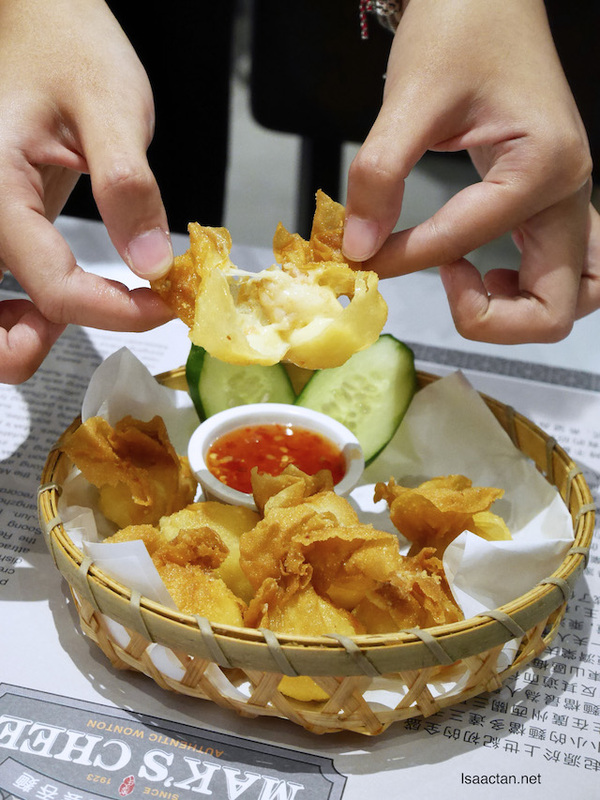 Infused with lots of cheese, the new Cheesy Wonton is crisp on the outside, with melting Mozzarella and Cheddar cheese and fresh sea prawn on the inside. Absolutely delicious, I could not get enough of this goodness. This new dish will be available from 5th December up till 28th Feb 2017. Love the bottles. Wish I had a body like that. LOL!! !